Since when was more work good? Why should Americans be proud that we have “more women in the workforce” than ever before? The purpose of our social evolution and technological prowess should be one thing: TO REDUCE THE NUMBER OF HOURS HUMAN BEINGS NEED TO WORK IN ORDER TO SURVIVE. So, let’s see. MORE women in the workforce than ever before, huh? That would mean what, exactly? (1) OLDER WOMEN, who normally caretake aging parents, are no longer able to do so…so, who is taking care of Mom and Dad? (2) RETIRED WOMEN, who used to garden and bake and knit and take care of their grandchildren so their kids can go on a date-night have gone back to work, simply to survive. (3) YOUNG WOMEN, who would love to be going to college, instead are doing what I did in 1993, and choosing a roof and food over advanced education…because they can’t afford college, or they’re terrified of going into debt for a piece of paper that has turned millions of Americans into debt-slaves over the past decade, in particular. (4) POST-COLLEGE WOMEN, who would love to enjoy their career & live a good life, are often working TWO jobs, in order to pay not just their living expenses but also their college loans & the interest on those loans. Who is it, again, that makes money off this system? (5) MOTHERS who want to stay home to raise their children, to volunteer in their schools, to contribute to their community as La Leche League Leaders, Food Bank volunteers, organize fundraisers, and otherwise be there, in real time & at inconvenient times, when their own children or the friends of their children NEED someone to talk to…aren’t able to do so, because they’re working for someone else, some company, some industry, some corporation, for a paycheck. 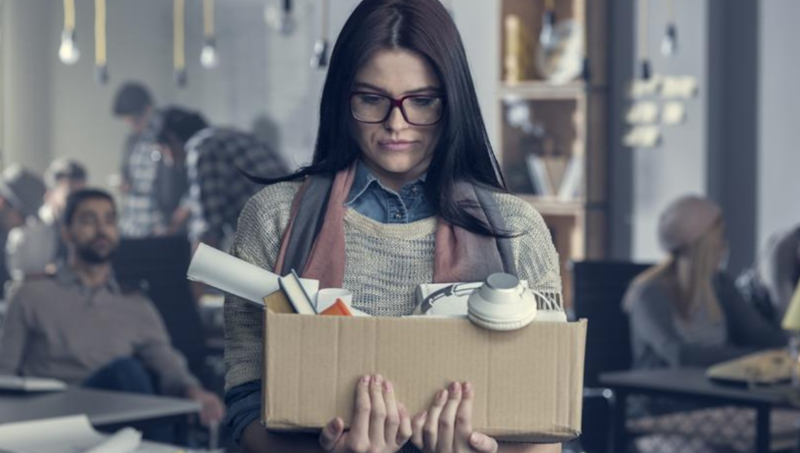 (6) CAREER WOMEN who have been let go – in a corporate reorg – and BLUE-COLLAR WOMEN who have been downsized or lost jobs to outsourcing, are now working 2-3 poverty wage jobs, and this is a good thing…how? Seeking more opportunities to trade in our most precious commodity (time) for a paycheck…is NOT the goal! So don’t tell me to be happy about it, because I’m not. Within human societies, there is so much work that has tremendous value, even though it is not paid work. And, as more and more people who desire to give freely are, instead, forced to seek “paid work,” all of the glue that holds society together begins to dry up & chip away. The result? Our communities suffer and fall apart. So, no. I’m not happy about it, and neither should you be.